January slips by quiet. The world is all in a rage, my head spins with it all. My own little world hidden in these four walls spins, too. We begin packing. We are moving from this rental because our landlord plans to sell it to a friend next month. We plod along with schooling, with work on Phoebe’s health. It seems most days I can barely keep up with the demands. The kids and I have been sick for the last couple of weeks with a bad respiratory virus. We’ve been inside and home more than usual, letting them rest and heal. On the sunnier and warmer days, we’ve been out, walking our usual routes in the neighborhood. I’m saying goodbye in my own slow way, imprinting things in my memory, detaching, shifting. I’m thankful for some time left to do that. For many years, since college really, I’ve leaned in close and quiet at the beginning and end of each year. Many people make goals and dream dreams, and I’m all for that, and often have a few quiet goals of my own. But the passing of each year heightens my awareness that time is slipping by, speeding onward. My life is being spent faster than I realize. What interests me most in the reflection on that is what the Lord is doing in these days. In the last weeks of December, I’m prayerfully asking Him to direct my steps in the coming year, specifically in the Scriptures. I seek a word form Him, usually a theme for the coming year, something He is going to teach me from scripture, something He wants me to attend to. Last year He led me to Psalm 93. He seemed to say that the coming year (2016) was going to feel a bit like being in a tumult of rising waters, but He reminded me that He sits enthroned above the waters. He is sovereign and mighty to save. That scripture ministered to me over and over again in the year as we faced one of the hardest years of our married lives. I think it’s what kept my head above water. I felt a bit of trepidation asking Him again this past December what He would say to me about 2017. The week of Christmas we received some of the worst and scariest news yet about Phoebe’s recovery/health and also flooded with medical bills we have no way to pay. At the same time, our landlord called to inform us we had two months to find a new place to live. I have cried a lot of tears. I have been brought low, back to the painful and sweet place where I remember that my God is sufficient, He is all I need, He is my strong refuge, my reward, my shield, the lifter of my head. It’s that place where whatever my heart is set upon gets sifted and my soul remembers its true end. I am made for God and nothing else will satisfy. Not even a secure home to live in. Not even the basic finances we need, or the health of my child. He is able to provide these things, and I am confident He will take care of us. But my heart cannot be set on my changing circumstances. They are fickle and uncertain. In the tumult of these emotions and the quiet place of just being laid bare before the Lord, He spoke to me Revelation 21:5: “Behold, I am making all things new.” He kept speaking it to me everywhere I would turn, though my heart resisted it. Resisted hope. Hope is painful! It’s easier to brace for disappointment. It’s part of why it’s been hard for me to write about it on the blog–there’s a part of me still afraid to hope. What does He mean that He is making all things new? Will we see our girl finally turn a corner this year and truly and fully recover? 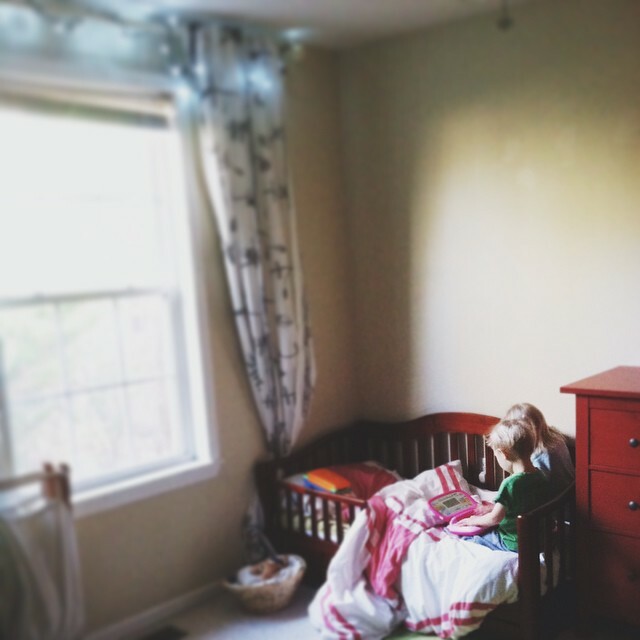 Will we find a home that we love, a place to raise our little brood, a place to set down roots and live out the kingdom? Will we find some rest this year from the onslaught of difficulty? I can’t say. Maybe we will be made new, even as our difficulties continue. We walk quiet through the familiar trails, children happy to be in the sun and fresh air. Everything seems colorless, bleak, brown. Winter. I breathe deep. It’s bleak and barren now, but spring is barely a whisper on the wind. It will burst into color soon enough. One way or another, all this death, destined for a resurrection. Welcome to a new year, folks! How have you been spending New Years Day? After almost rushing to the ER this morning with a rambunctious boy that seemed to have a possible broken arm, it’s been an otherwise usual Thursday. No time off around here. 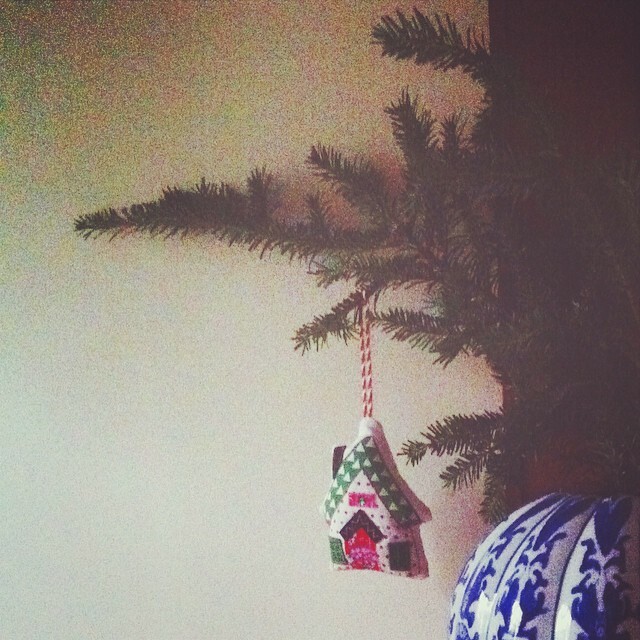 I’ve been begrudgingly taking down Christmas from around the house, while listening to more Christmas music. That’s ok, right?? It was a late and exhausting night for my husband and I both last night and there was No. WAY. we were staying up till midnight voluntarily. I mean, when you have a newborn… WHO DOES THAT?! Who volunteers for less sleep? Not us. We tucked the kids in bed at usual bedtime, made chocolate chip cookies, snuggled by the fire and watched “Life Below Zero,” our latest hulu addiction. I awoke startled to a ruckus at 12:03 am, realized it was fireworks, rolled over and said “Happy New Year, babe” to Brandon, and back to sleep I went. So that was that. I fully intend to spend a chunk of time, when I have one (a girl can dream, right?) journaling about this past year and looking forward to what I sense God is up to in 2015. Some goal setting will happen then. I have already had quite a few goals rumbling around in my heart but I need to sift through and see what is reasonable to pursue this year, and what is just going to make me feel like a big fat failure. For the past number of years I have asked God to give me a word for the year, a focus for He and I. Last year (2014.. last year? that feels weird to say already) was the “feast of grace” year. I feel like for the past year or two God has been taking me back to the very basics of our faith.. the Gospel. Grace. And as I’ve been trying to listen to the Lord in the busy work of this season, bustling around, asking Him for a word for this year, all I can think is: JESUS. I just want Jesus. I want to know Him better. I want to adore Him more. I want to see His glory every day. I want Him in the worst way. Desperate for Him. Motherhood has a way of paring you down, paring life down to the essentials. The basics. The absolute necessities. Motherhood has a way of making you desperate for Jesus. Maybe I’m the only one. I don’t know if that’s my “word” yet, I’m still sitting on it and laying it before the Lord. But I can tell you that I will be placing myself deeply in the Word with renewed efforts this year. The first number of weeks with a newborn interrupt our routines in the best of ways, but my soul has been starving for deep and prolonged time in God’s Word. I’ve been carving time out for that this past week and already the soul-numbness and apathy that creeps in when I neglect time in God’s Word is being replaced with sweet hunger. A friend wrote me today asking about some ideas/ways to stay in God’s Word right now, and it made me think. I want to share these simple ideas + tools with any one else out there like me who is hungry for more of Jesus in 2015. 1. 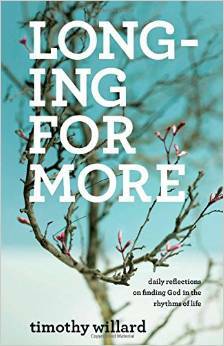 Timothy Willard recently published a book called Longing for More (which I am actually reviewing on the blog sometime this week hopefully). This would be a wonderful tool, with daily readings for the entire year, organized around the seasons and rhythms of daily life. More on this book to come in the next few days, but for now, I recommend it to you as a devotional-type read with scriptures, prayers and meditations. 2. I’ve recently begun following along with the lovely “She Reads Truth” community during the Advent season. They are starting a study of the Gospel of John as of today and you can follow along for free on their blog here or through their app! If you’re looking for an online community of women who want to be in the Word and are looking for kinship and accountability in it, this is a great resource! I plan to follow along as I can. 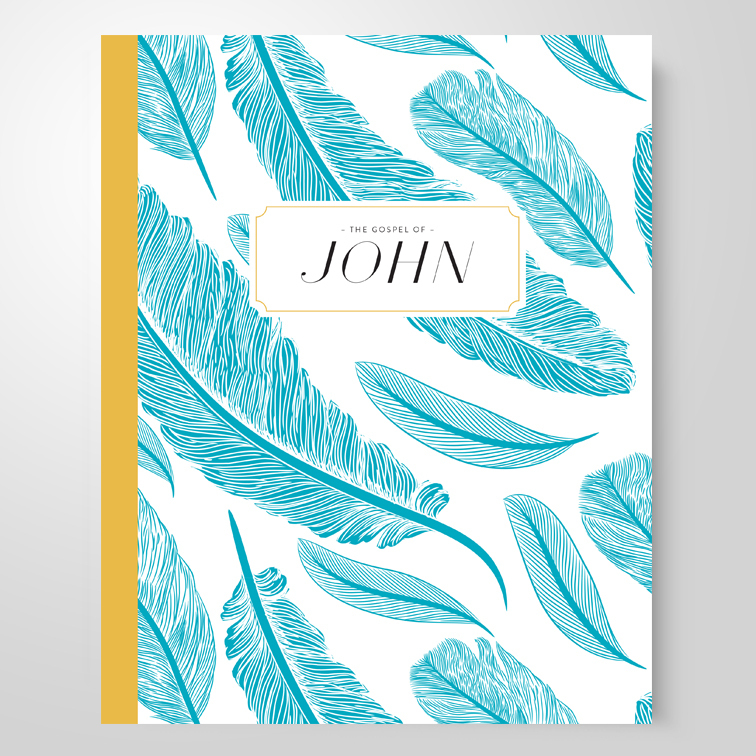 If you want to dig deeper into John, they also offer an optional/additional study pack here. 3. The best years are the years when I’m committed to a year of Scripture memory. Anyone else? It’s hard to commit at the outset of the year, but those are the years when I have drawn the closest to the Lord and seen the greatest fruit. I’m nervous, as usual, to commit this year with all that I’m juggling, but if I don’t have time to meditate on God’s Word, some other things are going to have to be eliminated. I have journeyed with Beth Moore’s blog community (called “Siesta Scripture Memory Team”) every year since she began it (she usually offers it every other year). It is a very doable amount of memorization, two verses a month, on the 1st and 15th of the month. Beth posts the verse she is memorizing on the 1st and 15th of each month, and you go and post your own or borrow hers if you need inspiration. 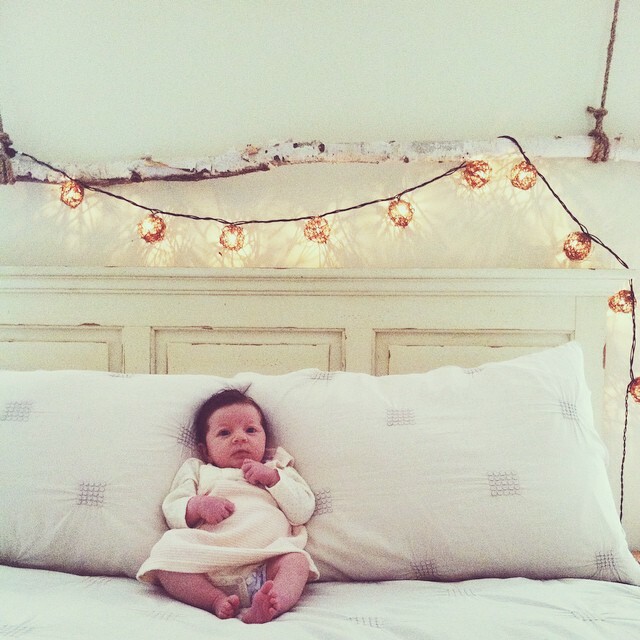 She shares a whole lot more about it on her blog, and the very first post is up today! Of course, there are a lot of lovely bible studies available out there as well! 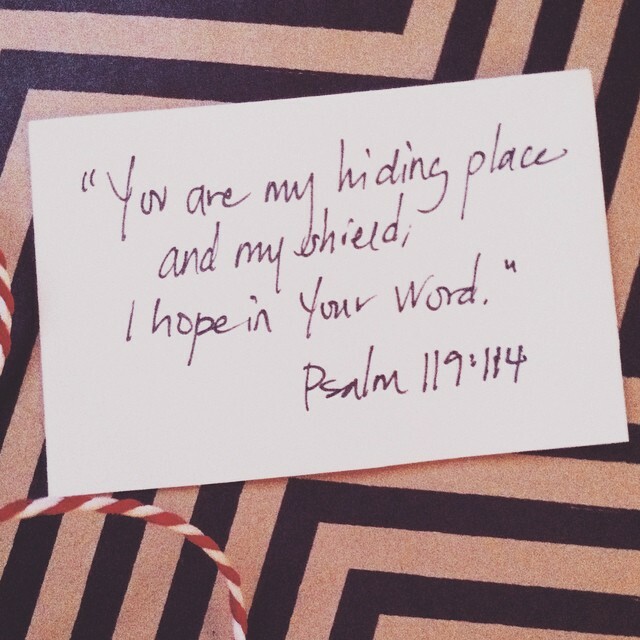 What are you doing to keep in the Word this 2015? I’d love to hear what you’re studying or what resources you may have to share! Let’s encourage one another in this great and beautiful pursuit of Jesus. One of the books that kept company with me during the Advent season was Piper’s “Good News of Great Joy.” It was a sweet guide prompting me to see and to savor Jesus’ glory specifically in His incarnation. Piper is clear that observing the Advent season + traditions is not a biblical mandate but is simply a tool for meditating on the wonders of the incarnation, God coming to earth in human form, and thereby increasing our worship and enjoyment of Jesus. I loved how Piper argued for the benefit of observing Advent, even though it is not required, at the outset of his book, and finished it with an exhortation not to worship the tradition of Advent itself. He reminds that keeping a tradition such as Advent is a religious ritual that was meant to be a shadow pointing us to the substance. It serves a purpose but ultimately we must set our gaze not on the religious ritual itself, but on the person of Jesus. See, we are creatures who are bent toward worship, and easily we begin to worship the means of worship, the traditions themselves, instead of the Object. There is a war of feelings in me as we close the year, the end of a beautiful and hard year. As I look at Christmas decorations and begin to tuck them away; as we find our souls missing the habit of Advent readings and longings. As December closes, I find my soul weary from the constant beckoning of materialism and the endless marketing campaigns to “buy more” and “not to miss this sale.” My soul is weary from the shallow, empty promises this world gives to satisfy. As we turn toward January, toward a New Year, our hearts are full of resolutions and goals, hopes and dreams. Let us engage in the work of examination, looking for ways we have grown addicted to the world and to our own flesh, and for ways we can forsake these sins and grow in holiness as blood-bought children of God. Let’s remember the war we are in, and armor up for it once again.